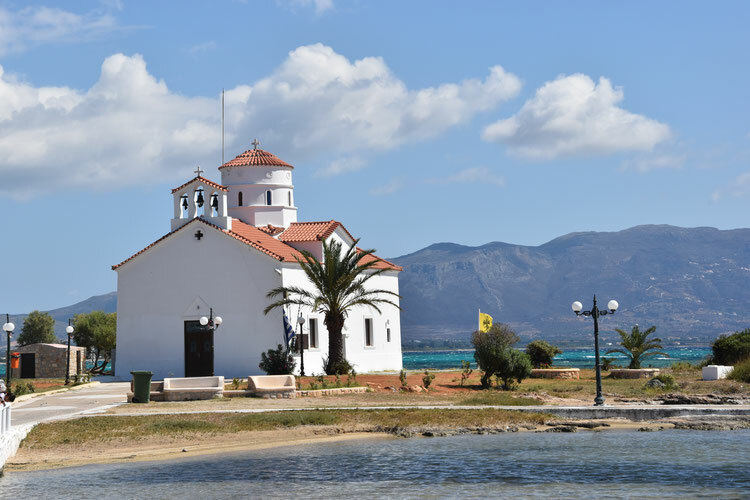 Agios Spirydon - Benvenuti a Elafonissos splendida isola Greca! 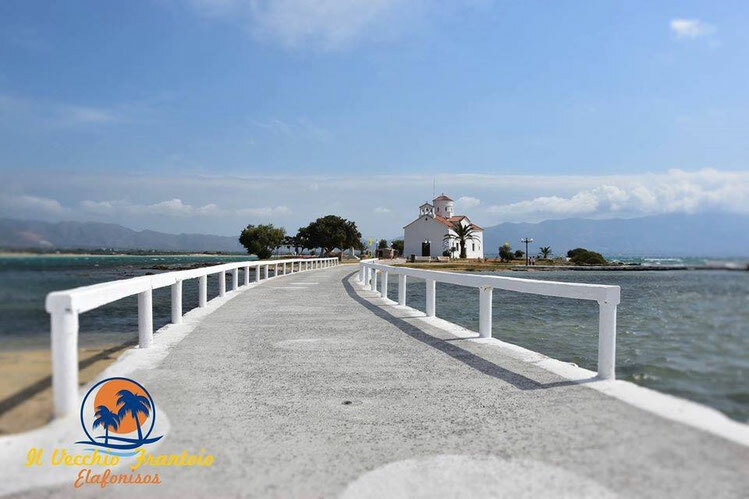 A picturesque bridge leads to the church of Agios Spyridon, which has become a characteristic symbol of the village, built in 1858 and is situated on a small island where, for its great suggestion, ceremonies take place in orthodox rites between land and sea. The ancient Greek litanies spread softly throughout the island, mingling with the screeching of seagulls, thus creating a mystical, almost hypnotic atmosphere that attracts curiosity.